Did you know – Love can make your Roti’s go round ? It does make mine go round. Sometimes it is because it makes me swoon when I am in his arms, sometimes because it’s a roller-coaster ride of emotions, one changing to another before I can figure out how exactly I feel, sometimes because time goes by very quickly.. I don’t mean round as in when you roll them out from the dough. I mean round as in when they blow up like a perfect balloon on the pan (without putting them in the fire). 3 days of cooking, and not one parantha gone wrong. All of them bloated up perfectly without losing heart half way. Yay!! Why is it a big thing? 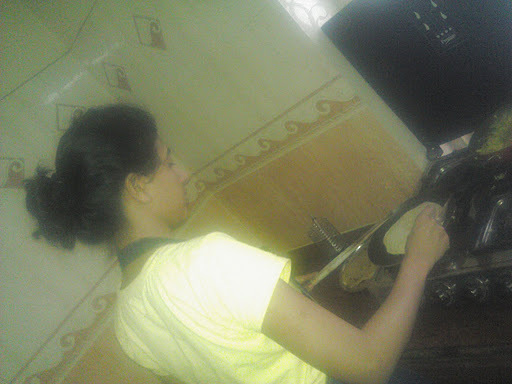 I have known how to make rotis/paranthas atleast for about 4-5 years now. Getting the shape right is child’s play, but getting them to bloat up like mums’ is a BIG thing. 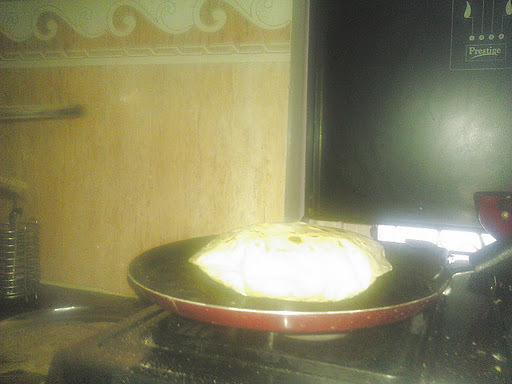 Never till date have ALL my rotis made in a single batch bloated up perfectly. Some would. Some would just pretend to and then deflate midway. Then what else to say if you have nothing to say but you want to say something?